Hi, I'm Holly, and I'm obsessed with copper. Especially during fall when warm colors are everywhere, I long to fill my home with accents of copper decor, but I've found - it can get pricey very quickly. So, I learned very quickly that the best way to incorporate copper into my decor was to make it myself! This DIY copper wrapped vase is very simple with minimal skill or supplies but brings the warm, cozy feel of copper to any space when filled with fall colored flowers. When you need to wash the vase, simply slip off the copper coil. Here's how to make it! And it takes, literally, ten minutes and uses less than $10 in materials. I'll always have a soft spot for anything gold, but copper may just be my true love. I'm so happy it's made a comeback and that you can find almost ANYTHING in a copper finish. I've rounded up a few of the prettiest and most practical office supplies that are sporting a copper look! Check them out below! You'll probably need one or more! Everyone has inexpensive frames lying around their house. Here's how you can take a pretty plain frame, and warm it up with a DIY copper mat. The DIY skill level required is low. If you can purchase copper foil tape and know how to "peel-n-stick"...you got this DIY -- no problem. I know you feel like you just ripped out the 80s gold fixtures in your bathroom renovation five years ago, which, by the way, was a good decision, but the truth is... gold fixtures are back. No, it's not a scary resurgence like the fashion trend of acid washed jeans a few years back. Gold fixtures can be a part of a stylish and timeless style. Gold isn't the only fixture finish getting all the attention either. Don't forget about the resurgence of copper and bronze into the design world. Today I'm going to share an extremely thorough list of where you can buy gold, copper, and bronze kitchen and bathroom fixtures for any design style. I am definitely aboard the copper trend train. And this simple wrapped beauty is another project that I am adding to my to-do list! It takes minutes! Copper is on trend and here to stay for a while. You've seen it on computers, desk accessories, pendant lights, jewelry, and so many more home decor accessories that I can't think to name. I'm currently digging this copper take on a traditional midcentury modern-style planter. Check it out! After seeing this simple tutorial, I have a feeling I will make a billion copper mirrors to go in every vanity in my household. And maybe a few gifts for family and friends! The end result is gorgeous and you only need three things to make it! Can't find the perfect floor lamp for your living space? No worries, just make your own with this clever copper lighting tutorial. I keep seeing garment racks pop up everywhere. And while I love the idea, I'm such a hoarder that I don't think I could pull it off! 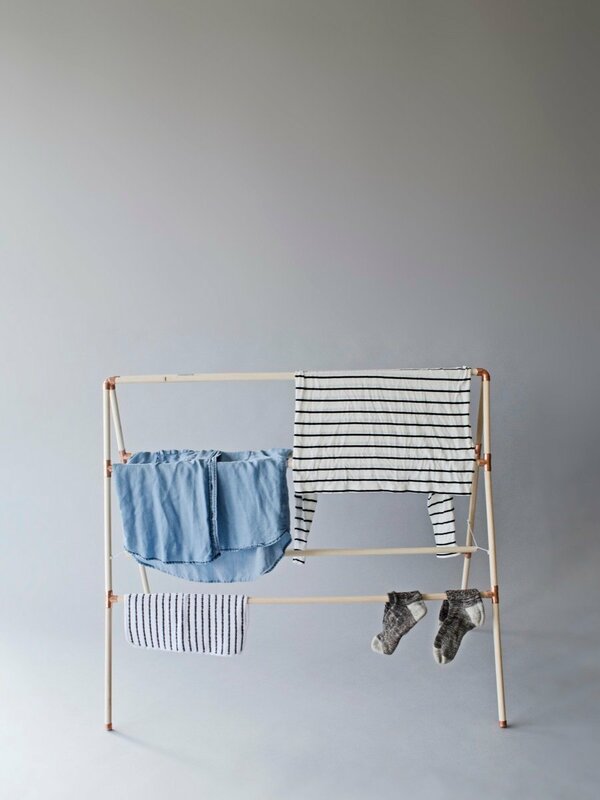 This copper hack might just be the way to try it out without breaking the bank on an expensive rolling garment rack! Copper is getting its 15 minutes of fame right now. I see it everywhere. Actual copper items can be pricey, especially copper planters. This tutorial shares some great tips for getting a faux aged copper look to anything! I don't have anything to say except that I love this lighting installation and my bedroom needs one like it asap! I'm willing to hone my woodworking skills to make one! The copper trend is still going strong, and with good reason... it's a warm alternative to silver tone or stainless steel that has been popular for so long. And there are some easy ways to incorporate the material into your space without spending a ton of time or money. Here are ten of my favorites. Keep the copper trend alive by giving your coffee mugs a makeover. Who says you can't sip your morning beverage in style? Best part? The paint used is dishwasher safe! Did you know that copper tape - that's right, TAPE - exists? And that it can be used for all sorts of projects and purposes? My mind is spinning with possibilities. For now, wrap the edge of a mirror in this trendy trendy tape!